Let All Green Recycling be your partner in disposing of your old electronic devices in Larkspur, California. We have reliable IT Asset Disposition Services for you. Try our Electronics Recycling today because we’re equipped with the right knowledge and modern technology. Our IT Asset Disposition services are tested through the years. You can rely on us to meet your e-waste recycling needs. With our Data Destruction service, you will never go wrong. Let us delete your sensitive data and information now. Our Equipment Destruction has been proven for many years. We can destroy obsolete IT items to protect your brand. There are beneficial answers to the question why you need to recycle or donate your electronic devices? Primarily, old electronic items have precious yet hazardous metals such as mercury, lead, cadmium, plus glass and plastics. Unearthing those materials require an enormous amount of energy and money. 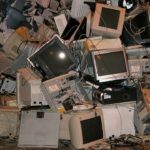 So recycling and donating EOL computers and cellular phones, for example, is an efficient way to save money and to protect Mother Earth. The emission of greenhouse gases can be prevented, too. If you are looking for the perfect solution to resolve electronic waste problems, you need to try All Green’s Electronics Recycling Larkspur Services in California. To schedule our pickup service today, you need to follow the link button shown below. 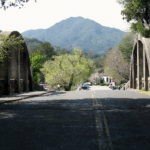 This is a city in Marin County, located 3 miles or 4.8 km south of San Rafael. The elevation above sea level here is set at 43 feet or 13 m. In 2010, it had a population of 11,926. Since it’s in the north of San Francisco, the nearest geographical landmark is Mount Tamalpais. The neighboring Corte Madera and San Anselmo are sharing a police department with this city. Recycling disposable electronics is easy but only when you tap a certified recycling solution provider in town. We are one of the top-notch providers in California and even in the entire country. We have an extensive network of reliable agents and partners all over North America. We work seven days a week. All you need to do now is to schedule our electronic waste pickup service. Or, you can reach us out to our drop-off point near you. We’re committed to helping free up the landfill spaces from the harmful electronic products. Starting today, you can recycle the items listed below. It is said that when our electronic devices are transported to third-world countries, they’re paying the price for us. But all of us will suffer, and no one can escape from the environmental wrath due to our negligence. We have to act as fast as we can to resolve the continuously growing problems on e-trash that in 2016, according to The Global E-waste Monitor – 2017, had added up to an immense 44.7 million metric tons, or 49.3 million tons recorded globally. For more details and information, please feel free to contact us today.